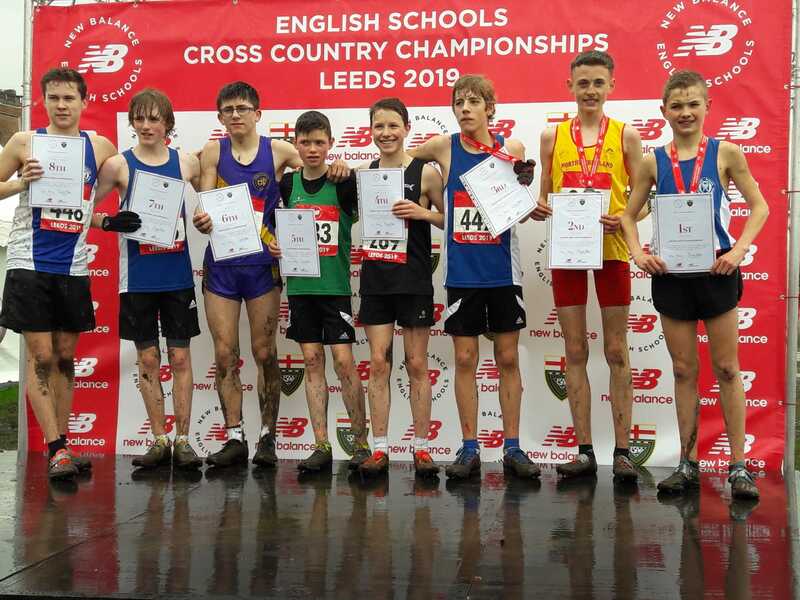 On Saturday (16th March 2019) at a muddy Temple Newsam in Leeds, North Shields Poly celebrated their latest International call up when Josh finished a magnificent 2nd place in the Junior Boys race at the English Schools Cross Country Championships. 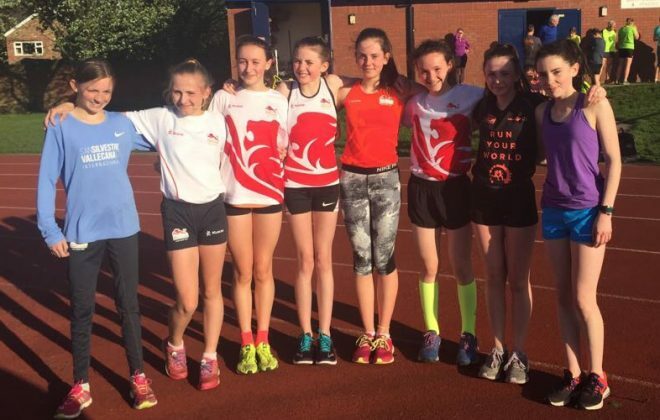 The English Schools are seen as the highlight to any young athlete’s career. 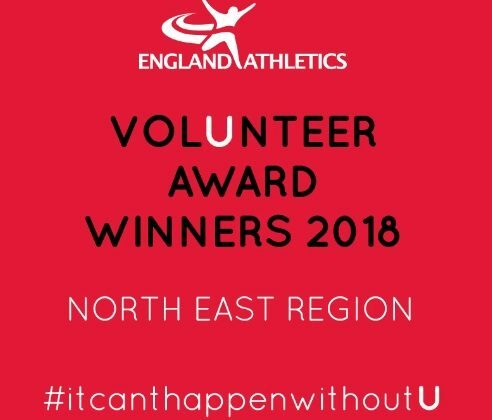 The best eight runners from every County in England go up against each other, with the top 8 finishers being rewarded with a chance to don the England vest in the Home Countries International Championship the following week. 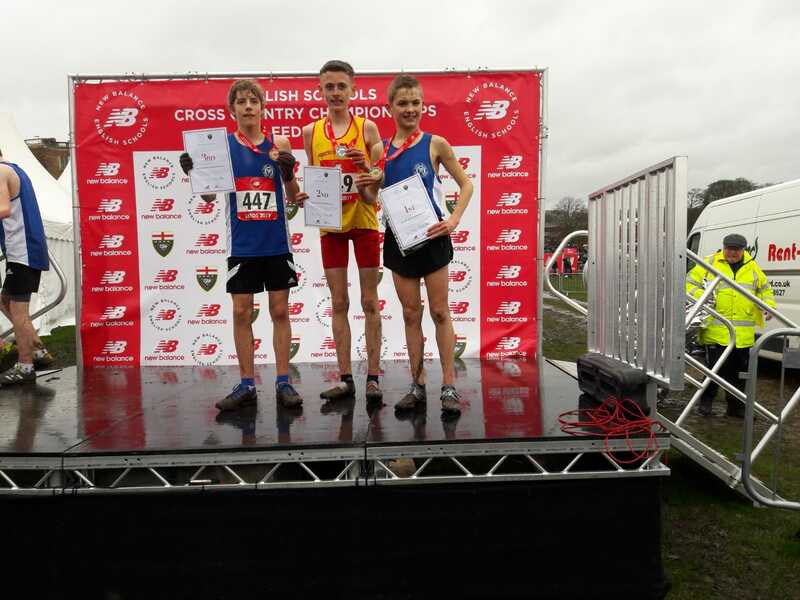 Josh went into the race unbeaten on the schools circuit. 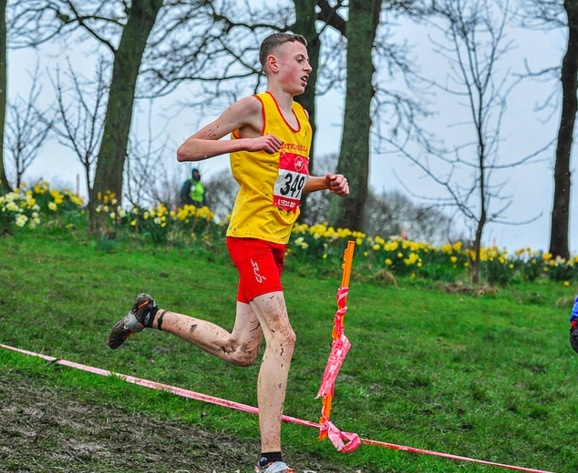 He won the North Tyneside, Northumberland and Northern Inter Counties Championships and warmed up for the English Schools with a 16th place in the UK Inter Championships where he finished as 2nd placed 1st year behind Lewis Sullivan of Suffolk, who went into the English Schools as arguably the favourite. Also in the field would be Josh’s big rival and North East Champion Chris Perkins who would be representing Durham. However, in the English Schools, anything can happen. All of the runners are of County standard and it’s almost impossible to predict how the race will go. Josh could have had a blinder and finished 10th, he could have ran badly and finished 6th, we just didn’t know. What we did know what that Josh was in great shape and as long as he ran to the best of his ability he would be there or thereabouts. After a somewhat mad start, the field settled down and it wasn’t long before Josh was near the head of the field with the two favourites – Lewis Sullivan and Chris Perkins. For Josh it was a case of sticking with the leaders for as long as possible and see what happens. At the end of the first lap the three rivals had a clear lead and the gap to 8th place, the final England spot, was about 10 seconds. All we could do as the runners disappeared for the large second lap was keep our fingers crossed. 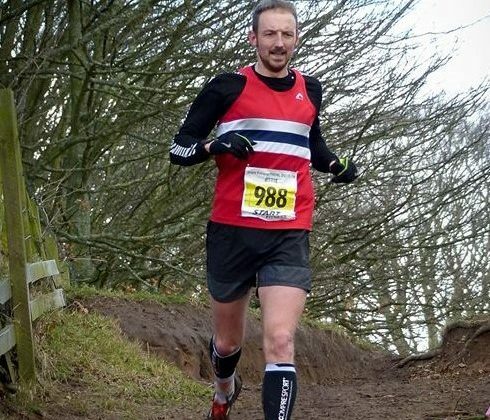 Josh is strong as an ox but would he have enough to fend off the challenges of the best young distances runners in the country? Coming back into view with about 600m to run it was Lewis Sullivan who was in the lead. Who would be next, we waited and I counted…….I got to about 12 when Josh came into view – in 2nd place! He had broken clear but there was still a lot of running to do. 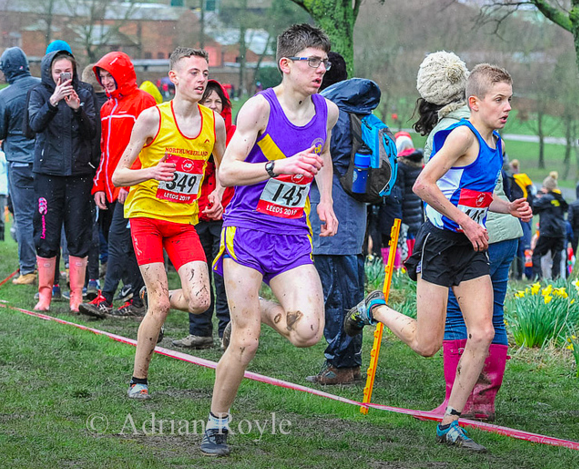 The final 200 metres was mud soaked and uphill. Josh was still going to have to work hard. With an England spot surely secured, Josh kept looking forward and gave everything he could to close the gap to Sullivan but the lead was a winning one and Sullivan looked very impressive and comfortable. An elated Josh crossed the line just 9 seconds behind the winner to win the silver medal. The Home Countries International now awaits next weekend (23rd March) in Dublin and I’m sure that everyone at the club will be massively proud of our latest International runner. Josh’s performance was not just about him though. He has some amazing training partners around him who were all thrilled for him. There are far too many to mention but the lads who push him in training – Oliver, Zak, Ryan, Scott, Elliot, Will, Graeme, Tom, even the old fella Bracken. Back up from the girls Holly, Willow, Katie, Ellie and the rest of the gang, this really was a team effort. Anyone that has played a part in his development should give themselves a pat on the back. Josh is part of an amazing group of talented athletes and hopefully this performance is just the start for all of the young athletes that we have. Final mention must go to parents James and Karen and little brother Matt. 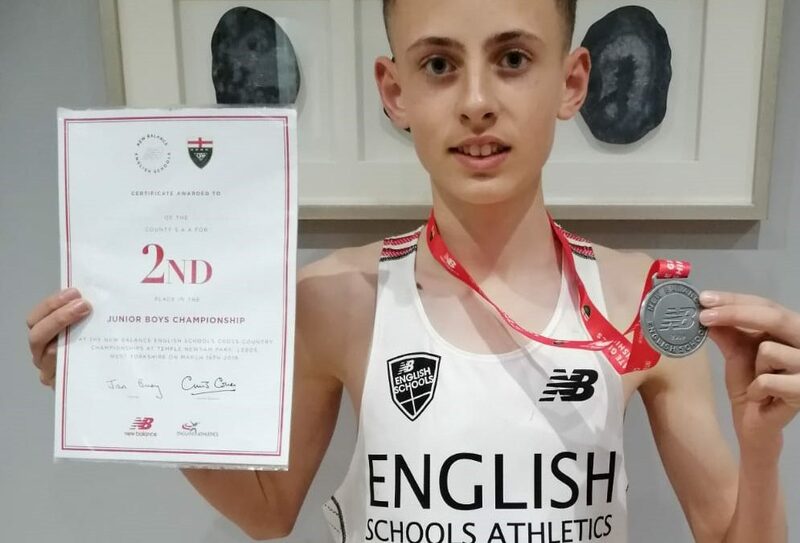 To watch your son go up against the best runners in the Country and come away with a silver medal and an England vest must be what dreams are made of. The support Josh receives is unwavering and his success has surely been helped by the amount of support he receives. From a personal point of view, as his coach – well done mate……..we did it!! !